Smart home automation is in the news a lot lately – for both good and bad reasons. Essentially, “smart home technology” is anything that either automates part of your life at home or makes it easier to access or change things. An example would be using a remote control to turn off the kitchen lights from your couch. It ranges, thus, from simple devices such as Nest learning thermostats – which allow you to program a lower (or higher in the summer) temperature at night and/or during the day when nobody is home – to whole-home systems that allow you to set mood lighting, control your thermostat, turn on music, etc from a central point. Another term often used is the “internet of things” – meaning that everything connects to the internet. Your fridge, for example, can tell when you are out of milk and send you a reminder or even add it to your next grocery order for delivery. 1. Privacy and security. In October, 2017 it came out that the Google Home Mini speakers the company gave out to tech reviewers were malfunctioning and recording everything said in the room (normally virtual personal assistants such as Google Home, Alexa, etc listen only after their activation words are spoken). Virtual digital assistants store everything they hear in the cloud, which could expose it to hackers. If you are considering a virtual personal assistant then you should think carefully about the balance between privacy and convenience. Most privacy experts recommend not placing these devices in children’s rooms. Other factors with the internet of things also bring up that concern. Let’s take that milk ordering fridge. It probably has all of your grocery buying patterns stored – something of considerable value to an advertiser. 2. Do you like voice activation? Smart home technology is moving towards voice activation as the primary means of interaction. Modern systems have few to no issues with unusual accents or mild speech defects. There are, though, alternatives for those who hate voice activation or may have a disability which makes it difficult to use. For example, the Logitech Harmony Elite universal remote connects with a home hub to control everything in your home, not just the TV. 3. What specific functions do you need? Think about the problems you have in your life and whether home automation can help you solve them. For example, if you have a home theater, you may benefit from smart lighting systems that allow you to “dim the house lights” from the couch without anyone stumbling around in the dark. 4. Do you or anyone in your household have mobility issues? It might be worth looking into extra home automation so that grandma can do more from her recliner. 5. What security concerns do you have? Home automation allows for things like turning lights and music on when you are away, and also often includes surveillance cameras for both indoor and outdoor use (Some people like to use indoor surveillance cameras to keep an eye on pets while they are out). 1. Thermostats. Nest is the most famous company, but Honeywell also makes smart thermostats that allow you to pre-program temperatures. This can save a lot of energy. As thermostats are built in, they can even make your home more desirable to a buyer. 2. Smart plugs. You put them in a socket then plug in your device. It allows literally any device to be controlled from a smart phone or virtual assistant. The primary use of this is for things like floor lamps and coffee makers. iHome also makes an outdoor one – useful for Christmas lights. 3. Smart bulbs. Several companies including Phillips and TP-Link make smart LED bulbs which are dimmable, tunable, and connect straight to wi-fi. 4. Meat thermometers. iGrill makes, literally, a meat thermometer that will text you when your steak is ready. Handy if you grill often, especially if you have a distracting party going on. Related devices include the Char-Broil Digital Electric Smoker and the June Intelligent Oven (a counterpart/toaster oven). All of these can prevent overcooked (and thus wasted) food and possibly even fires. 5. Vacuuming robots. If you hate vacuuming, a robot might be helpful to you. iRobot also does one which will mop the floor. Modern robot vacuums can be controlled from a personal assistant or your smart phone, and can be preprogrammed to clean the house when you are at work. Smart home automation is not for everyone. Some people worry about the privacy concerns and others may find it takes the enjoyment out of some tasks (like grilling). However, most people will find some home automation useful for them, and it does not require an expensive whole-home system to be useful. That said, built-in systems can increase the value of your home, especially security systems, smart thermostats and other energy-saving ideas. 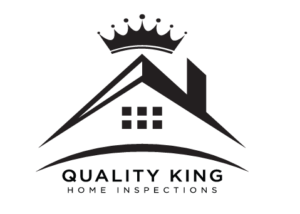 If you’re in the market for a new home in the Long Island area and need a home inspector, contact us for what to look out for and ways to make your future home more efficient!